The Winter Olympics start later this week, which means fans will soon be subjected to ads from the usual suspects, e.g. McDonald’s, Visa, Coca-Cola. But Red Bull, which usually steers clear of mainstream sports in favor of alternative events like the X Games, seems to be the winner when it comes to athlete sponsorships. Red Bull is the primary sponsor for both Shaun White and Lindsey Vonn, two of the top three athletes on Forbes’ top-earning Winter Olympians list. Coke’s athletes, including speed skater Apollo Ohno, aren’t exactly nobodies, but they’re definitely low-profile compared to superstars like White. 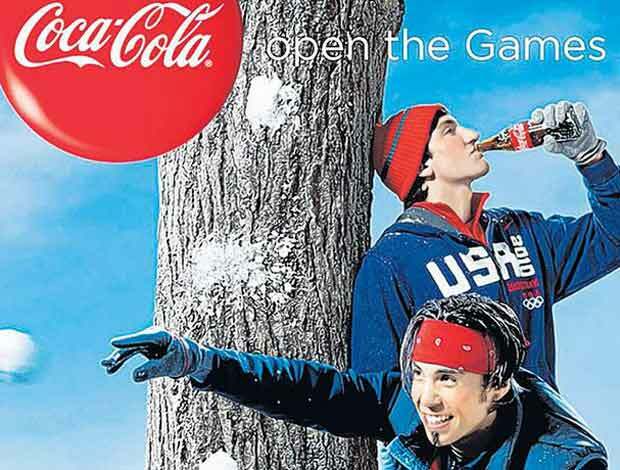 A recent Atlanta Journal Constitution article entitled “Coca-Cola won’t play the name game at Olympics” suggests Coke is aware of the issue but not terribly concerned about it. After all, it’s just the Winter Olympics, right? In fact, some companies didn’t even bother to recruit winter athletes this year, choosing instead to run ads featuring Summer Olympians (see Subway’s ad featuring Michael Phelps “swimming” to Vancouver), much to the U.S. Olympic Committee’s dismay. But Red Bull may wind up having the last laugh. It’s true the winter games usually trail in the ratings compared to the Summer Olympics, but, thanks to the economic downturn, Americans are staying home to watch sports on TV more than ever. That’s one reason the 2010 Superbowl surpassed the MASH finale to become the most-watched television event in history. And, with both White and Vonn expected to take home multiple gold medals (assuming injuries don’t stand in their way), Red Bull’s brand is guaranteed to be front and center throughout NBC’s coverage of the Vancouver Olympics. Plus, it’s not like the energy drink has given up on its extreme sports roots. Red Bull has a slew of alternative sporting events coming up this spring, including a “street style” soccer tournament in Atlanta next week.